In most marriages, it is generally assumed that in the event that one spouse predeceases the other, all marital and non-marital property will remain in the ownership of the living spouse. Certainly, there may be some exceptions to this general rule. A parent may wish to leave some sentimental or valuable property to a child, even if his or her spouse remains living. Or an individual may wish to leave a gift to an important charitable organization upon the event of his or her death. But in general, property is generally left to a living spouse. So, what is to be done when a marriage ends and an individual’s estate plan still leaves most or all of his or her property to a former spouse? If you are either in the process of divorcing your spouse or have already finalized a divorce, it is critically important to amend your estate plan in accordance with your current wishes. 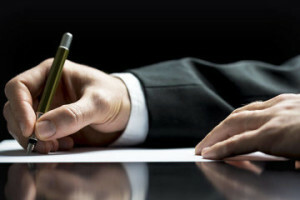 An experienced Ridgefield, CT will lawyer can help to guide you through the amendment process. If you fail to amend your estate plan, a court will be compelled to decide whether you intended all of your property to remain in the possession of your former spouse. It will then be a judge who decides the fate of your property, not you. It is worth noting that you should consider amending your estate plan even if you still intend for your property to pass along to your former spouse and you still intend for your former spouse to serve in designated capacities like power of attorney. If you do not amend your estate plan to clearly indicate that these are still your wishes post-divorce, a loved one may challenge your wishes and insist to the court that you did not intend for your estate plan to stand as written given that it was drafted before your divorce. By making your wishes clear, whatever those wishes may be, you will better ensure that they are respected. It is worth noting that there are specific ways you may need to articulate your wishes in order for them to remain legally enforceable. A Ridgefield, CT will lawyer can help you to achieve this important distinction. How Have Your Wishes Changed? When thinking about amending your estate plan in the wake of your divorce, it is important to consider all elements involved in your plan. If you no longer want property to pass as written, explain to your Ridgefield, CT will lawyer the ways in which you want your directions modified. If you no longer wish for your former spouse, or perhaps a step-child, to be listed as the beneficiary on life insurance policies, etc. you will need to make that change explicitly. In addition, if you need to alter power of attorney and/or medical power of attorney designations, both make those changes to your plan and inform your new designees. If you have questions or concerns about estate planning in the wake of a decision to divorce, please do not hesitate to contact an experienced Ridgefield, Connecticut will lawyer. Consulting with the team at Sweeney Legal, LLC will not obligate you to take any specific action but it will allow you to make the most informed decisions possible for you and your family. Although the process of dealing with your estate plan can be overwhelming, it is a good idea to modify it as soon as you determine that it needs to be changed. Failure to act quickly enough could lead to consequences that are not compatible with your wishes.